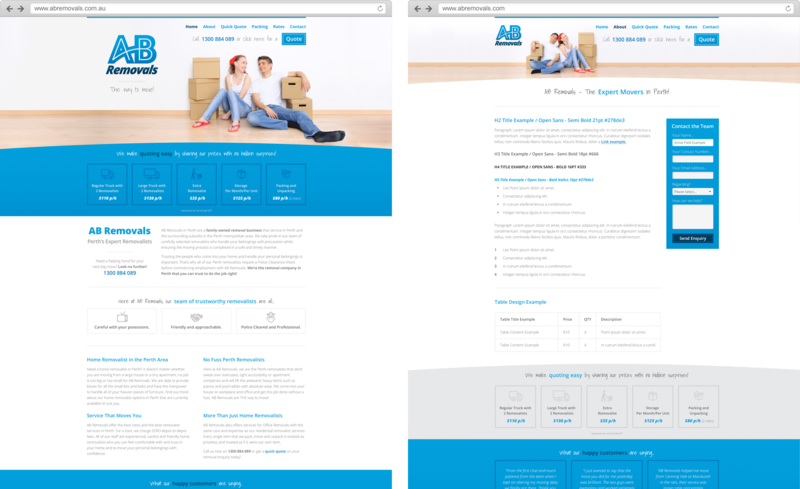 AB Removals came to us looking for a brand refresh. They wanted to give the business a friendly, professional and elegant look, and just generally take thier look up a notch. They were really pleased with the result – a beautiful new brand identity incorporating logo, business card, magnet and truck signage, as well as a new WordPress website, fully responsive on mobile devices and optimised for search. It was a pleasure working with these guys.